For those wanting to experience the amazing Mamanuca Islands but short on time, this Castaway Island Resort Tour is an ideal Fiji day tour option. Laze on the beach, snorkel the clear waters teeming with marine life and coral, and enjoy the delicious lunch at the Terrace Restaurant. 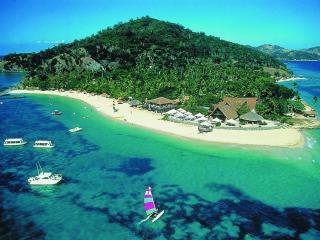 This tour is a great island experience for those visiting Fiji on their next holiday. 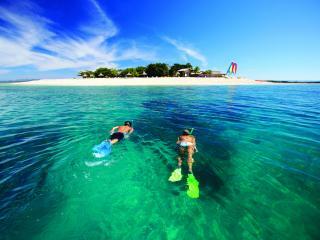 For a relaxed adventure like no other in Fiji, make sure you book Cloud 9! Snorkelling and swimming is right off the 2 level platform, or if you prefer a more sedate option, relax on a day bed or hanging chair and enjoy your favourite cocktail, whilst taking in the 360 degree views of the turquoise water of the Mamanuca Islands. Lunch and coach pick up is also included in this tour. This Nadi tour starts with the opportunity to explore the Garden of the Sleeping Giant, from here the tour visits the chiefly village of Viseisei. 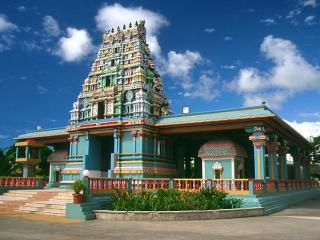 After time to wander around this seaside village the tour continues into Nadi, to the site of the largest Hindu Temple in the South Pacific and then the Nadi Market. Mamanuca Express offers a 4 or 7 hour charter out on the Mamanuca Islands for the day. Offering a range of fishing methods, this tour is suitable for all guests. 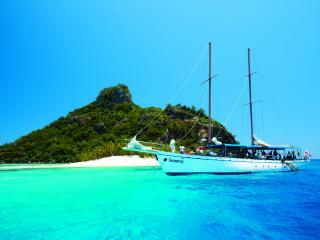 Enjoy a full day on board the Fiji Island Explorer Tour with South Sea Cruises. Get to witness the beautiful Mamanuca Islands and enjoy a lovely lunch at Beachcomber Island Resort. 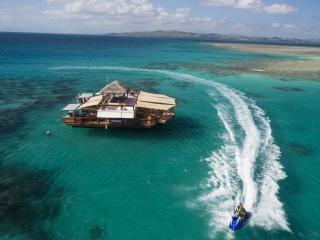 This is a great option for those holidaying on the mainland yet want to experience the Mamanuca Islands. 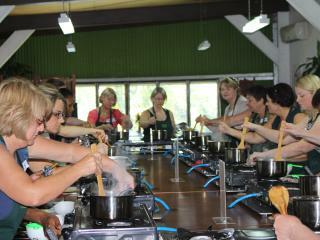 Flavours of Fiji Cooking School is an exciting culinary tour option for those visiting Fiji and the area of Denarau. The 3 hour class includes instruction from local cooks, lunch and take-home recipes. Go on an adventure through the tastes of Fiji and India, with guided instruction and small class sizes in a modern kitchen. Mamanuca Express offers full or half day tours that incorporates island hopping, snorkelling and dolphin watching. Suitable for couples, friends and families, Ocean Charters will ensure your day is filled with enjoyable memories. Board the magnificent two masted schooner Seaspray (of television fame) for a day exploring the crystal clear waters, beautiful beaches and lagoons of the Mamanuca Islands. The highlights of these Fiji cruises includes exploring an uninhabited island and visiting a traditional Fijian village. 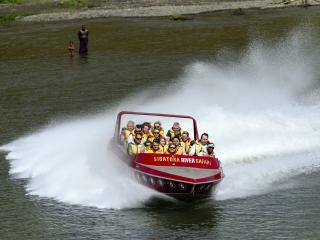 The Sigatoka River Safari includes return Jet Boat rides to a traditional village, where you will learn about the culture, taste kava, enjoy lunch along with entertainment. Also enjoy some 360 degree spins by jet boat and enjoy many stops along with way you will learn about the history of the local area. 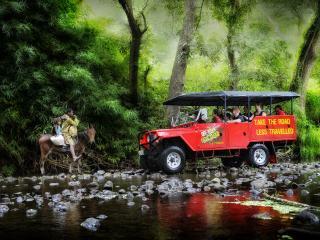 On this Off Road Cave Safari you will get to experience an enjoyable ATV ride from Sigatoka Town to where the Naihehe Caves are located. Experience a Kava Ceremony, explore the Naihehe Caves once home to a Cannibal Tribe, enjoy a BBQ lunch and swim in a fresh water swimming hole. 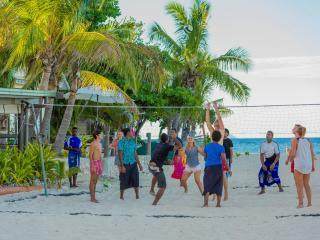 For the greatest fun under the sun you can't beat a day at South Sea Island, the closest day trip island for Fiji cruises. Just 30 minutes from Denarau aboard our high speed catamaran, our uninhabited island is surrounded by crystal clear waters and magnificent coral reefs. This great half day Fiji tour allows you to experience the beautiful forests, mud pools of the Sabeto Valleyin conjunction with either a visit to Orchid Waterfall or Garden of the Sleeping giant. Spend the morning walk through the amazing rainforest or gardens before visiting thermal springs and mud pools.